Horse racing is the second largest spectator sport in Great Britain after football and one of the longest established sporting events in history dating back many centuries. It generates over £3.7 billion for the British economy. 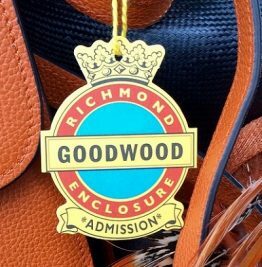 The major horseracing events such as the Cheltenham Festival, The Epsom Derby, Royal Ascot and Glorious Goodwood are also highlights of the social calendar. Here at TST Car Services, we like to make you and your guests’ day out more enjoyable by offering a horseracing chauffeur service to take you and your guests to your favourite racecourse. We are able to provide a choice of chauffeur service vehicles including Range Rover Autobiography, Mercedes S Class Saloon, Mercedes E Class Saloon, Mercedes V Class (People Carrier) and for larger parties’ minibuses. Let us take care of the driving so you and your guests can enjoy your day picking the winners at any of these horseracing festivals. One of the first big horseracing meetings of the year is the Cheltenham Festival held annually in March. Situated just outside the Spa Town of Cheltenham in the heart of Gloucestershire. Horseracing has been held in the Cheltenham area for over 200 years. The four days of racing includes several top Grade 1 races including Cheltenham Gold Cup, Champion Hurdle, Queen Mother Champion Chase and the Stayers’ Hurdle. There is always a great atmosphere at Cheltenham as it coincides with St Patrick’s Day. 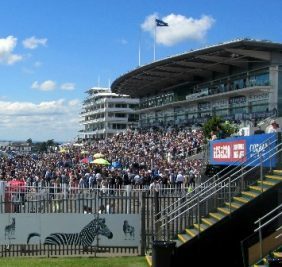 Because of its close proximity to London, just twenty miles from Central London, The Derby Festival attracts a wide range of society, from Royalty to the first time race goer and is known as “The Peoples Race.” Situated on the edge of the North Downs the Investec (sponsors) Derby is held on the first Friday and Saturday in June each year. 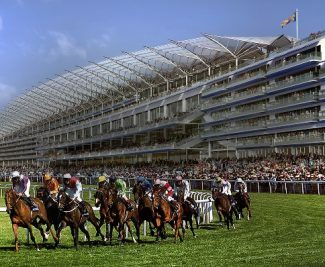 Saturday is the main race day hosting The Investec Derby not only Britain’s oldest horse race dating back to the early part of the 17th Century, but also its richest with a prize pot in the region of £1.5 million. This prestigious Group 1 flat race is over a distance of one mile, four furlongs and six yards for 3 year old thoroughbred colts and fillies. Ascot has established itself as a national institution, situated in the heart of the Berkshire countryside adjoining Windsor Great Park. Royal Ascot being the centrepiece of the British horseracing calendar and the ultimate stage for the best racehorses, jockeys and trainers in the world. Over the year Ascot will host 26 days of horseracing, 18 on the flat and 8 over the fences of these 13 will be of the premier Group 1 category. This years Royal Ascot is 19th to 23rd June with The Gold Cup being the race to watch. Other races to consider going to include the King George Weekend -27/28th July which include the King George VI and Queen Elizabeth Stakes. A great introduction to horseracing and a fun day out is the Dubai Duty Free Shergar Cup – 11th August, which combines horseracing and an evening concert. In the autumn there is one QUIPCO Champions Day 20th October. The flat racing seasons grand finale with a whopping £4.3 million up for grabs as champions are crowned kings and queens of the turf. Hosting three top Group One flat races, The Qatar Sussex Stakes, The Qatar Goodwood Cup and The Qatar Nassau Stakes. This is thoroughbred racing at its best and in turn attracts the cream of Britain’s social society.